We have changed our email address, please add amateurphotographer@emails.ipcmedia.co.uk to your address book to ensure our emails are delivered to your inbox. Christmas is looming so I'd first like to plug our Christmas special. Of course, you all know from past years that it's packed full of more goodies than a Fortnum & Mason hamper. This time, we've got six pages of DIY projects to keep your occupied when you can't face any more turkey. We also take a look at the year's brilliant AP forum photography competition winners. We also have a chat with Clive Nichols about how to make the most of winter gardens. There's much more too, but we sign off the Christmas issue with our annual look at THE FUTURE. You can't wait, can you? In the news this week, Leica has begun its programme of events at its Mayfair store. These will run up until 20 December. In product news, Samyang is to release a 10mm f/2.8 lens at the end of next month, while Ilford is to release two new papers which have been trialled by a colleague of Ansel Adams, no less. Meanwhile, a fine art photographer and printer has been talking about how his passion for photography helps in combating his depression. That's all for now. Have a great week. 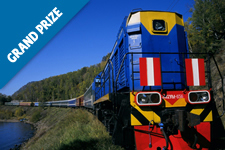 Leading tailor-made travel company, WEXAS Travel is shortly bringing to a close its amateur 2013 Photo Competition. The final category is ‘Wildlife', and to be in with a chance of winning 2 tickets on The Golden Eagle Trans-Siberian Express (flight included) or a trip to Norway to witness the Northern Lights (including a photography course) don't forget to submit your entries before 31 December. Runners-Up receive a smart, retro-styled 16-megapixel Olympus E-PL5 camera. This week, as the rush toward the AP holidays accelerated, I worried that I would not find the time to choose my favourite 'AP Reader Gallery Picture of the Week'. Thankfully 'Byblos' by StephenMcNally made my choice quick and simple. It is reminiscent of the photograms of László Moholy-Nagy (1895-1946). As with a photogram 'Byblos' was made without a camera. 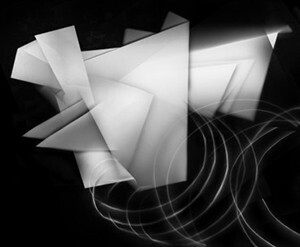 Stephen described it as "An experiment to make a cameraless image by using a scanner to scan folded paper, scenography." I loved the Constructivist nature of its creation and look. It was then that I realised I had inadvertently chosen a photographer who had only recently featured in this spot, albeit with a totally different style of image. Should I change my mind? I decided not to. Congratulations once again, Stephen. To win a cuddly What the Duck, find the ducks hidden around our website and on our various social media groups, such as Facebook and Twitter. Each duck will have a letter on it, rearrange the letters to spell a photography term. Tell us what the answer is and you could win! 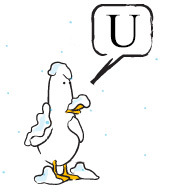 Here's one duck to get you stated. Take a look at our range of round ups, to get some great ideas for Christmas gifts this year. 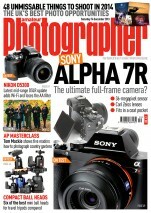 You are receiving this email because you are subscribed to the Amateur Photographer newsletter. This e-mail is from IPC Media Ltd whose registered office is at the Blue Fin Building, 110 Southwark Street, London, SE1 0SU, registered number 53626. The contents and any attachments to it include information that is private and confidential and should only be read by those persons to whom they are addressed. IPC Media accepts no liability for any loss or damage suffered by any person arising form the use of this e-mail. Neither IPC Media nor the sender accepts any responsibility for viruses and it is your responsibility to check the email and attachments (if any). No contracts may be concluded on behalf of IPC Media by no means of the e-mail communications.